JAKARTA, Oct 31 (IPS) - The Republic of Seychelles announced on Monday that it has issued a 10-year blue bond to finance fisheries projects, making it the world's first country to utilise capital markets for funding the sustainable use of marine resources. Seychelles Vice President Vincent Meriton told IPS that the bond was officially issued Oct. 9 and that its sales have so far raised 15 million dollars from three institutional investors: Calvert Impact Capital, Nuveen, and Prudential. "At least 12 million dollars of the proceeds will be allocated for low-interest loans and grants to local fishermen communities, while the remainder will finance research on sustainable fisheries projects," Meriton told IPS in a telephone interview on Sunday. The news comes ahead of the first-ever global conference on the blue economy, which will be held at the end of November in Kenya. Participants from around the globe will gather in the country's capital, Nairobi, and attend the Sustainable Blue Economy Conference to discuss ways of building a blue economy that harnesses the potential of oceans, lakes and rivers and improves the lives of all. At the conference participants will also showcase latest innovations, scientific advances and best practices to develop economies while conserving the world's waters. The Seychelles' blue bond will likely be a mechanism of great interest to participants. "We are honoured to be the first nation to pioneer such a novel financing instrument," Meriton said when announcing the bond on the first day of the Our Ocean Conference in Nusa Dua, Bali, a one-hour flight east of the Indonesian capital Jakarta. "The blue bond, which is part of an initiative that combines public and private investment to mobilise resources for empowering local communities and businesses, will greatly assist Seychelles in achieving a transition to sustainable fisheries and safeguarding our oceans while we sustainably develop our blue economy," Meriton continued. Grants and loans to Seychelles fisher communities would be provided through the Blue Grants Fund and Blue Investment Fund, managed respectively by the Seychelles' Conservation and Climate Adaptation Trust (SeyCCAT) and the Development Bank of Seychelles (DBS). An archipelagic country in the western Indian Ocean, Seychelles has 115 granite and coral islands spreading across an exclusive economic zone of approximately 1.4 million square kilometers. After tourism, the fisheries sector is the country's most important industry, contributing significantly to annual GDP and employing 17 percent of the population, with fish products accounting for around 95 percent of the total value of domestic exports. According to Meriton, the idea of a blue bond was first floated under former president James Michel in 2011, but the concept for a blue bond to support a transition to sustainable fisheries was conceived in 2014 only with the help of HRH The Prince of Wales' International Sustainability Unit. Since then, a World Bank team comprising experts from its Treasury, Legal, Environmental and Finance groups has worked with investors, structured the blue bond, and assisted the Seychelles government in setting up a platform for channeling its proceeds. A joint statement issued by the Seychelles government and the World Bank said the blue bond is backed by a five million dollar guarantee from the World Bank and a five million dollar concessional loan from the Global Environment Facility (GEF). It will also pay an annual coupon of 6.5 percent to investors, but the GEF concessional loan would cut the cost to Seychelles to 2.8 percent. The statement also said proceeds from the bond sales would finance the expansion of marine protected areas, improved governance of priority fisheries and the development of the Seychelles' blue economy, and contribute to the World Bank's South West Indian Ocean Fisheries Governance and Shared Growth Program, which supports countries in the region to sustainably manage fisheries and increase economic benefits from their fisheries sectors. World Bank Vice President and Treasurer Arunma Oteh called the blue bond a milestone that complements other activities aimed at supporting sustainable use of marine resources, including particularly the fishery sector. "We hope that this bond will pave the way for others …. The blue bond is yet another example of the powerful role of capital markets in connecting investors to projects that support better stewardship of the planet," Oteh said in a joint statement. World Bank Vice President of Sustainable Development Laura Tuck said the blue bond could serve as a model for other countries in mobilising funds to finance sustainable fisheries projects. "The World Bank is excited to be involved in the launch of this sovereign blue bond and believes it can serve as a model for other small island developing states and coastal countries. It is a powerful signal that investors are increasingly interested in supporting the sustainable management and development of our oceans for generations to come," Tuck said. SeyCCAT Chief Executive Officer Martin Callow was quoted as saying that the bond would support the country's ambitions to create a diversified blue economy. "We are privileged to be working with the many partners involved in this unique transaction, and we are excited about the possibilities to back pre-development and growth stage projects in support of Seychelles' blue economy. With these new resources, our guiding principles, and the blended finance structure that we have developed, we will support Seychelles' ambitions to create a diversified blue economy and, importantly, to safeguard fisheries and ocean ecosystems," said Callow. Daniel Gappy, CEO of DBS, expressed similar sentiments and vowed to support the government's quest for sustainable development. DBS will co-manage proceeds from the bond via the creation of the Blue Investment Fund. "Establishing the Blue Investment Fund will bring additional exposure both locally and internationally for the bank and will provide opportunities to enhance our competency in fund management for positive environmental, social and governance outcomes," said Gappy. Meanwhile, Pietra Widiadi, Green and Blue Economy Strategic Leader at World Wildlife Fund (WWF) Indonesia, said the blue bond offers huge potential as an alternative financing source, but many things need to be done to ensure the projects achieve their targets. "Awareness on the importance of the blue economy is still relatively low in island nations, especially those in the south. For that reason, I think any blue bond project should start with building the capacity of people involved," Widiadi told IPS. Indonesia and other island nations, Widiadi said, could use Seychelles' blue bond structure as a model in tapping the bond market for financing sustainable fishery and marine projects. "Projects funded with blue bond, just like green bond, are rigidly regulated, but Seychelles' blue bond can serve as a model on how we can move forward," he said. Edo Rakhman, a national coast and ocean campaigner for the Indonesian Forum for Environment or Walhi, a leading civil society organisation that champions environmental issues, hailed the world's first blue bond but stressed that any sustainable fishery and marine project should start with protecting the rights of local fisher communities and mangroves along coastal areas. 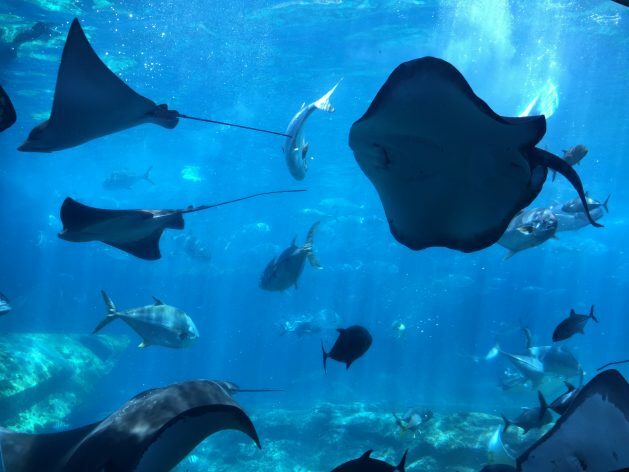 "Island nations should designate fishing grounds or zones where all forms of extractive activities are prohibited and mangroves protected to ensure the sustainability of fish stock for local fishermen communities," Edo said.